Imagine a place in the heart of Geneva where everyone is empowered to take action for a better world…. Sustainability. Innovation. Entrepreneurship. Our partner Impact Hub Geneva, situated in the heart of the city, is a support structure for the talent and aspirations of individuals who want to have a positive impact. Impact Hub Geneva has developed a diverse range of programs through trainings, expert support and other resources to enable entrepreneurial ventures of purpose-driven teams and individuals. 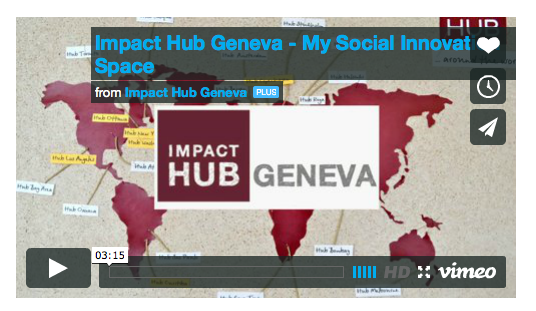 Peer-to-peer sharing and special members’ events ensure that Impact Hub Geneva is more than a shared working space. Do you want a creative space and collaborative platform for social impact and innovation in the Geneva – region?